← A No Fault Religion! A Blameless Sinner Theology! Understanding How to Become a Light to the Unsaved Dark World! (Ver 1.3) This is Part 1 in a series of Bible lessons about the subject of “How to be a Light to the Unsaved World”. Most real Christians have a strong desire for others to come to the knowledge of Christ and accept the same salvation that they have experienced. Why is that? I think that it is a twofold motivation. First knowing how good God is drives me to share with people His goodness. Then second, knowing the consequences for not accepting Jesus that also drives me. But, how do you share something with someone you have absolutely no evidence or proof of possessing? If I could take you to a physical throne and show you God, that would be completely different than the system that God has designed for us to work within. So, how do you get people saved? Do you have a role to play in this happening? Or can God just save anyone that He wants to with or without your help? If you recall Jesus did not think so. Jesus looked at the people on the earth and said, the “harvest is plenteous, but the laborers are few” (Mat 9:37). That would indicate that we have a role to play in becoming a worker in God’s harvest field. What works and what doesn’t work in this field? Did you know every crop is not harvested in the same way? How you harvest corn is different than how you harvest cotten or potatoes. How does God define work? It certainly is a very complex world that we live in. Many people are distracted and deceived by many different things. People have been deceived in so many ways, that I cannot even list them all. Today I want to talk about how to be a light to the unsaved dark world using the definitions and methodologies revealed in the Bible. I want to discuss what darkness is, what light is and how we can help people get from the darkness into the light. I want to explore the correct meaning and interpretations of the symbolic references given to us in the Bible on this subject and help you to understand what God is saying. This will no doubt be a long series that will take multiple lessons. There is just too much information to cover in one blog, but I have to start somewhere. The Moon Rules the Night! The Sun Rules The Day! Gen 1:16 And God made two great lights; the greater light to rule the day, and the lesser light to rule the night: he made the stars also. Psa 136:9 The moon and stars to rule by night: for his mercy endureth for ever. 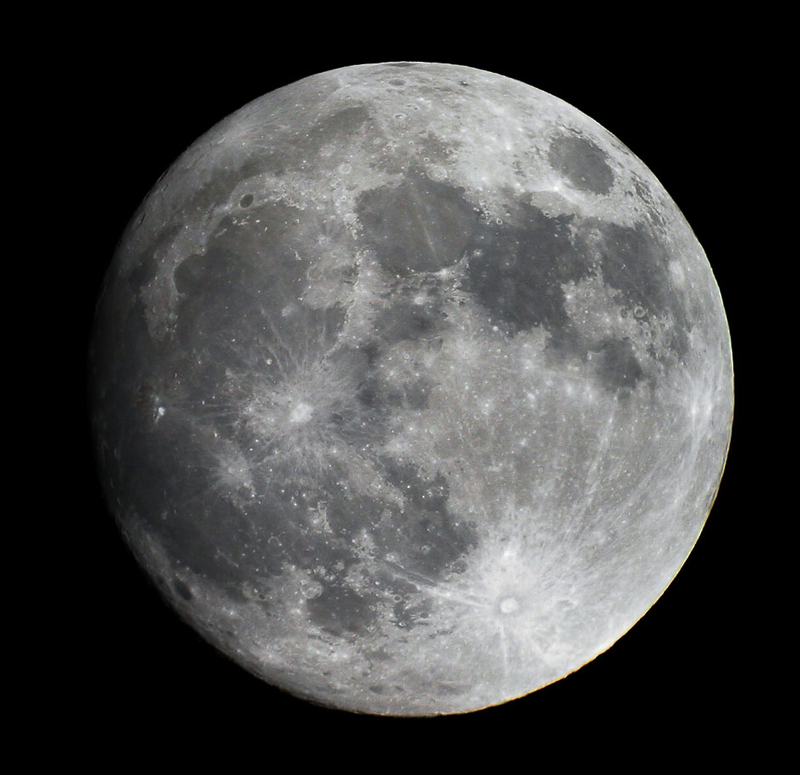 Finally, we see a very clear definition of the “lesser light” as being the “moon”. It also confirms that the stars along with the moon will rule the realm of night. These references are all clearly symbolic of natural truths that God is attempting to use to teach us about a greater spiritual reality. If you do not understand symbolism in the Bible you can go find my lesson on the subject and review how God uses symbolism throughout the Bible to teach us. The moon is again said to have dominion and control over the night. Notice the moon does not rule the day nor does the sun rule the night in either of these examples. That is actually very important to understand for later. So what is this symbolic moon and what is the symbolic night? What we need to do is to go and get the definitions of these symbolic words from the Bible in order to see it from God’s perspective and that is what I will attempt to do in the rest of this lesson. I will start with the Sun and then attempt to define light and darkness. Next I will talk about Day and Night. Finally, I will end the lesson with the definition of moon. What we should start to do when reading any Bible verse, is ask ourselves is God talking literally or symbolically or both simulataneously? Is God talking internally or externally or again both concurrently? Is God talking about physical things or spiritual things or as we will soon learn that God is usually using the natural things to teach us about the spiritual things so they are both technically relevant? Many times people struggle with reading a Bible verse and being able to distinguish between these two major differences. THis is why many people do not understand the Bible, they fail to rightly divide it. Then we need to define the terms found in any verse using only God’s definitions and ignoring man’s opinions. The Bible is so much more complex than we give it credit to be. God actually gave us all of the answers in His word, but yet they are not always easily found on the surface type of reading that most Christians do. Jesus informs us very clearly that He is the light of the world. I do not think that many people disagree with that point at all. However, Jesus is not speaking naturally or physically, so He must be speaking symbolically and spiritually. Jesus is informing us that He is the source of all of our spiritual light. He then informs us that those who follow him, they will not walk in darkness, but they shall have the “Light” of Life. We’ll talk more about that later. On the earth, the primary source of all light and life on this planet comes from our natural sun. Without the existence of the physical sun, there would be no life on our planet. I believe this is representative of a pattern that God gives us in the natural realm that describes Jesus in the spiritual realm. This verse in John certainly teaches us that they are both strikingly similar to each other by God’s design. Our Sun is only one star out of billions. Our Sun is the closest Star to our planet. The Sun is our primary source of all light and heat. 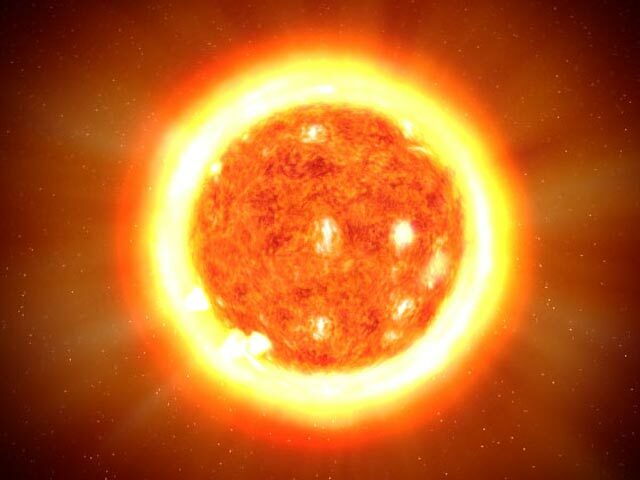 The Sun is the only object in our solar system that produces light of its own power. Without the Sun the earth could not support life. The Sun appears to Rise and Set daily because of the earth’s 24 hour rotation. The earth travels around a complete circle of the sun in approximately 365 days. What I have just given you are some of the many different verses in the Bible that describe Jesus Christ in expressive synonymous names and terms of the “Sun”. If you study these verses you will see they speak of Jesus Christ in terms described as a bright and shining light which emit rays like the Sun. Jesus symbolically shining as rays of light to the people of the world. We will define this reality and learn to understand what it means very soon. Joh 1:1 In the beginning was the Word, and the Word was with the LIGHT, and the Word was the LIGHT. Joh 1:1 In the beginning was God, and God was with the LIGHT, and God was the LIGHT. Wow! This is really not that difficult to understand, is it? I hope you understand algebra and the laws of mathematics. Nevertheless, we can also substitute in John 1:14 where the Bible says that “the LIGHT, became flesh” (Jesus) and dwelt among us. So we have a little bit better understanding of how Jesus could legally call himself the light of the world while He walked the face of this planet. What we just learned is that “Word of God” = “Light of God”. This is just one new dimension and definition of Light. I hope that you are understanding it. Finally, Jesus is called the “True Light” in John 1:9 and 1 John 2:8. This is a very important title given to Jesus and it has vast implications attached to it that I will discuss next. But, notice this fact. Jesus Christ is again called “The Word of God” in Revelation 19:13. If God is the Word and the Word became Jesus in the flesh and Jesus is the True Light. Then Jesus Christ also represents the “True Word”. So we can say TRUE WORD” = “TRUE LIGHT” and “TRUE LIGHT” = “TRUE WORD”! I’m really not sure if you followed my logic here, but it is a legal way to interpret and learn new things from the Bible. Understanding There Must Exist a False Light! Do you realize that you do not need to articulate an adjective of “True” before the noun of “Light”, if there is only one source of all light and only one kind of light? An adjective always qualifies a noun and restricts or narrows the scope of inclusiveness of the definition. If I said to you “Go pickup a red ball”. You can automatically conclude that there are other colors of balls available for selection and that it matters which one you pickup. In other words, if God only produces one kind of light and there is no other source of light, then God does not need to do anything but say “I am the Light” and everyone knows automatically what you are talking about because there exists only one light. But, when God says “I am the True Light” that makes it a completely different light from the unstated implied antithesis “False Light”. If you have a “True Light” described in the Bible (1 John 2:8, John 1:9), that would directly imply that there must exist a “False Light” by simple basic logic and understanding of the English language. This is just basic logic, if you have a positive you know there exists a negative. If there exists a North then there has to exist a South. If you say “Left” you know there is also a “Right”. If there exists Truth, then there must exist a Lie. So who or what is the “False Light” of the world? If Jesus Christ came into the world as the “True Light”, who or what is the “False Light”? So that means we need to define “True” and “False” using the Bible also. Now let me bring into the discussion another difficult subject to accept. In John 8:12, Jesus informed us that He was the Light of the world and that those who followed him would not live in the darkness. But, then He tells us that those who follow Him will have the “Light of Life”. Wow, that is another one of those statements that has a direct opposite associated with it by logical connection. What is the opposite of a “Light of Life”? It would have to be a “light of death”. Maybe we will get into that more later, just become aware of what it implies for now. This is all derived from just a basic understanding of the English language constructs and simple basic logic. What I hope to do is to give you a new perspective to see things differently using the Bible as the primary source for what we believe. I will not discuss what the false light is here in this section, but I just wanted to logically establish the existence of this entity, so that we can look for it in the Bible later. Understanding The Definition of Spiritual Light! I’ve already given you some new perspectives on what Light is in the Bible by describing Jesus. Right now I just want to focus on what the online dictionary says for this definition of the term “light”. According to what I found light can be defined in very technical terms of physics and can be described as “electromagnetic” waves of illumination within the certain range of visible wavelengths. That is a pretty technical definition and probably not what we are looking for in our discussion. A light can be more generally defined as a source of “illumination” either natural or artificial that helps us to see other objects. 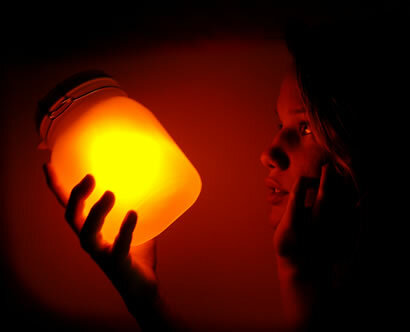 A light source produces illumination that reflects off of objects so that we can see them. Without lights we would live in darkness. Ok, that was just basic definitions of a simple light concept. But, you do realize that “light” can have other meanings? For example, if said that I shed some light on the subject of tractors. What does that mean? It means I was able to provide some intelligent information that supplied someone with some basis of understanding of the subject of tractors. So when Jesus said “I am the light of the world, what kind of ‘light” was He calling himself using our definitions that we have seen so far? Do any of these apply to the definition of spiritual light? I do not believe that Jesus walked around the earth glowing in the dark. No, Jesus was not a physical light emitting rays of light everywhere He walked. Jesus was a person who held all knowledge and all understanding and was providing spiritual information for others to learn. So while Jesus was here He gave what He knew to others so that they could HEAR it and begin to SEE and understand these spiritual things that He taught. The Bible tells us that Jesus uttered things that were kept hidden from the foundation of the world. Jesus revealed mysteries about the hidden things in the Kingdom of God (Mat 13:11). This is why, he called himself the light of the world. Jesus brought a new perspective to understanding God for all people to see. So shining a “light” is giving information, knowledge and understanding to other people in the eyes of God. God holds all knowledge, all understanding and therefore is the source of this light to everyone. Later, I will give you scriptures to back all of this. Right now I just want to introduce you to a new definition of light and shining the light to others as being the teaching of the truth of God’s Word. The Definition of True Light and False Light! Because we have a better definition for what “light” is, we can now begin to see that there is certainly more than one light being present in the world. If I possess a limited understanding of any specific Bible subject, then I can only provide you limited light on that subject to help you to understand it. What we must realize is that both Jesus and the Bible were utilizing natural terms, descriptions and processes to describe spiritual things that you have never seen. So when we see terms like “light” in the Bible, many times we have to transition to the symbolic meaning and see what else it is referring us to in the spiritual realm. We can also begin to see what is referred to as a true light and how it can give new meaning to what a false light is. A true light would be someone who teaches you something that is absolutely based upon the truth even though it is always a limited view of it based upon their current knowledge. A false light would be someone who intentionally teaches you something that is a lie or contains lies and of course there is a big difference in these two types of lights, however, they both certainly exist in the world even today. In Matthew, Mark, Luke and John, it says at least 30 times that Jesus went around everywhere “teaching” the people, or that He “taught” them. Why did Jesus spend so much of His valuable limited time on the the earth teaching these ignorant people? I think I just answered my own question by how I phrased it, they were certainly ignornat and this is exactly why they needed to be taught the truth. From reading these verses in the Gospel, it is implied that Jesus taught for hundreds of hours over the course of just 3 years. Could this possibly be the way that He was displaying the Trie Light to the world? Could it be that Jesus who held all knowledge and understanding, was trying to get others to see what He knew? I believe this is exactly what Jesus was doing and how perfectly it fits the definition of being the true light of the world. Jesus attempted to illuminate our minds with the words of truth coming from His mouth. Later, I will give you scriptures about the false light, but we will end this lesson here for now. Until next time, I hope you were blessed to learn and hear from God today. God Bless! If you would like to continue reading this series you can go to “Part 2“. Posted on July 5, 2010, in Bible Study, Light, Understanding and tagged Bible, Christianity, Church, Genesis, God, Holy Spirit, Interpretation, Jesus, Light, Prophecy, Religion, Revelation, Symbolism, understanding. Bookmark the permalink. Leave a comment.